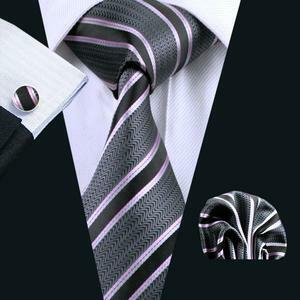 Want to be the fanciest guy at the party, or give a great Father's Day gift starting from $4USD, no tax, free shipping with a superb variety of ties? 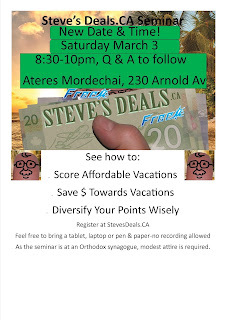 Come to my Steve's Deals seminar this coming Saturday, March 3rd, at 8:45pm, and I'll tell you from where and how! Click HERE to read more and register! 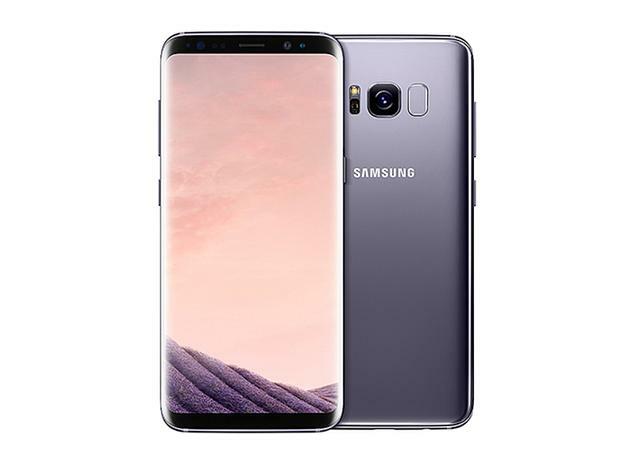 $431CDN For A NEW Galaxy S8 & S8+ On Sale On Samsung USA? HOW?? DEAD--It's up to $696 with no free bluetooth headset. Samsung is looking to clear out their inventory of, well, at least, the Verizon versions (unlocked) of the Galaxy S8 and 8+ phones as the S9s are coming out next month. The S9s are apparently just incrementally better--same amount of memory, same size screen--the only real difference, and it's minor, is camera features. Consumer Reports rates the S8 as the best phone on the market. The S8+, along with the S8 Active and the Iphone S8+ tie for 2nd place. It will say "Verizon on the phone" but other than that, it's compatible with most worldwide carriers--including Wind (and of course Bell, Rogers, Fido, etc.). They're also offering up to $300USD cashback on a trade-in on your purchase! When you click "Buy now," you'll be offered the the options for what devices will grant you how much off your new S8/S8+ purchase. The Samsung sale (minus 3% EBates cashback if you go through their website) has the S8 going for $556USD and the S8+ (slightly larger screen but not as ergonomic as the S8) is $640. You'll want to send it to a US address as they don't ship to Canada (competes with Samsung Canada at $1034 ($1168 taxes in) and $1114 ($1259 taxes in) CDN--you better off preordering an S9 or S9+ online in Canada from Samsung.ca for "only" $960 ($1085 taxes in) and $1100 for the S9+ ($1243). If you buy the S8 or S8+ from the US Samsung, you'll be maxing out your exemption allowance if you stay in the States (or have someone bring it in for you) for 48+ hours (2 overnights). It's free expedited shipping, shipping out the week of March 25th, to your US address (a hotel, a friend, NYAddress.CA), and the best part is currently, it comes with a Samsung bluetooth headset with $200USD, that you should be able to sell in Canada. On Amazon.ca, they are starting at $350CDN so that will further help to subsidize your phone's cost. If you ship it to Florida, you're looking at $38 in taxes ($10 more to NY state),-- so the S8 will cost you just under $600USD ($594USD) without a trade-in, and with the free $200USD headset. With EBates 3% cashback, you'll be paying $576USD--that's about $731CDN--that's $354CDN cheaper than buying an S9 in Canada--and that doesn't include the headphones you'll be selling--assuming you sell them for $300CDN, that's mean you paid $431CDN--that's $654CDN cheaper than buying the S9 in Canada! How To Double Dip-$100 Off Thermostat AND $75 From The Electric Company! Save on Energy, an Ontario Green Fund program, is giving customers that buy a Smart Thermostat, wifi compatible, $100 back, EVEN if you buy it in the States (Amazon.com). That means $175 of savings off an Ecobee or Nest brand thermostat! If you just keep your old Honeywell Peaksaver Plus thermostat, your eligible for only the $75 from Alectra (or your local electric provider likely also offers it--as a $50 rebate on your March bill and $25 in the fall) as it is not wifi and doesn't qualify for the $100 deal, which is on Ecobee and Nest Smart Thermostats. As they are two different programs, Save On Energy does not see it as double dipping NOR does Alectra (I spoke to reps in both programs)--just apply for the $75 cash back on your electric bill with your current Peaksaver Plus Honeywell thermostat or newly purchased and installed Nest or Ecobee thermostat after December 13th, 2017. Then after applying for the $75, buy the wifi thermostat of your choice and get another $100 cashback! Here's a comparison of Nest vs. Ecobee, as to which will suit you better. Consumer Reports rated the Nest 3rd generation, #1, with an 83% rating, while suprisingly, the Ecobee model 3 or 4 rated at 60%. They liked the Smart features better on the Nest and its automation (ability to function well without intervention from the user). The comparison link above discusses the Nest's cheaper version, the Thermostat E, which it does NOT like for the reasons outlined in the article. The Nest, 3rd Gen, is going for $228USD on Amazon.com. The Ecobee 3 (better than the 4 in some ways) with 3 home sensors is being sold on Amazon for $234USD. In Canada, a 3rd party seller has it from as little as $249CDN! TAX FREE!! I bought it from "SC Export" in new condition, a new 3rd party seller. ALWAYS BEWARE of new sellers--I'm taking a chance though as the company claims to have several in stock, is located in Quebec, and as mentioned, no tax from 3rd party sellers. Cheaper in Canada AND TAX FREE--that's a rarity!! If you buy it directly from Amazon.ca, there WILL be tax, and it's already more expensive. To see how you can save on your energy bill BY THE HUNDREDS, read THIS post. EXTENDED UNTIL MARCH 15th! Save HUNDREDS A Year On Your Electric Bill-NEW OPTIONS! Alectra Utilities, the new electric company that took over Powerstream's jurisdiction of York Region, Simcoe County, Hamilton, St. Catharines, Mississauga, and Brampton, is offering customers two new options. 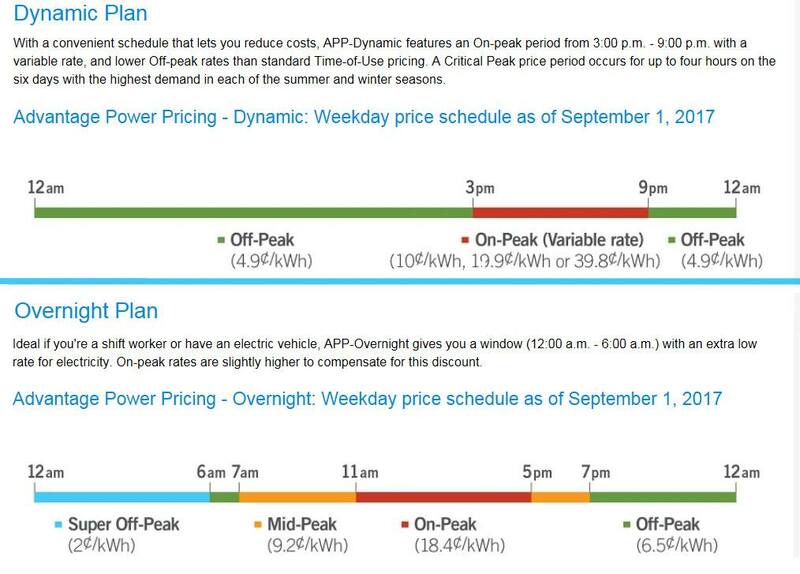 My friend has been on the "Dynamic Plan" on a trial basis for 2 years and has saved HUNDREDS on his electric bill. This is very exciting news as it's the first real break customers will get in their electric bill if one of the new options works for their schedule. NO OBLIGATION. You can switch back to the standard plan with TEN DAYS NOTICE by phone or email. THIS PROGRAM ENDS MARCH 15TH. After March 15th, not only will there be no $75 credit on your electric bill, but no ability to join the new Advantage plans so act now!! "Customers with a Nest, ecobee, Energate Foundation, Honeywell UtilityPRO or ExpressStat model are eligible for this offer. The first $50 incentive will be provided after enrollment, with another $25 to come in the Fall of 2018. These incentives will be provided as bill credits." The second one is to get a free smart thermostat to the first 100 people to jump into this plan but I confirmed, it's actually FIVE HUNDRED that they got, as the demand was strong for them, so there's still time to get an Energate one with 2 free wifi plugs, to control devices in your home and turn them off and on using wifi devices such as your smartphone, so that there's no phantom current (when it's off, it isn't REALLY off). If you choose to keep your current Powerstream PeakSaver Honeywell brand one, you can take the $75 and use it to subsidize a brand such as Nest or Ecobee. Those ones go for well over $200. For those that care, the Energate brand that they will install for free (instead of using your current one and getting the $75 credit on your bill) is NOT Alexa compatible. 6.5 cents per kilowatt hour off peak (weekends, holiday weekdays, and regular weekdays from 7pm-7am. One of two new options are targeting different crowds. Dynamic Rate Plan is targeting those who are at home during the day. 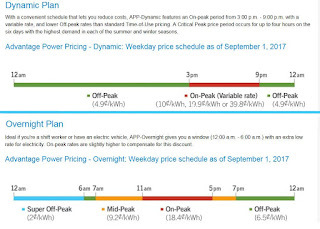 18 HOURS OF THE DAY you're on "off peak"--and "off peak" is 4.9 cents instead of 6.5 cents per kilowatt hour. That means that for most of the day you are saving over the old program, including mornings and afternoons until 3pm, as well as holidays and weekends!! The fallout is that 20% of the time, during peak summer hours, you could see your rates jump as high as 39.8 cents per kilowatt hour, but ONLY 20% of the time. For those who wait to run the washing machine, stove and vacuum cleaner (or any electric sucking machine) until after 7pm, and can now do so during the day, along with most of the cooking, this plan is a great option. The Overnight Plan is good for those who stay up late at night and don't have neighbours that they'll keep up with all the electric sucking machines. At only 2 cents per kilowatt hour, it sounds good but look at the hours and prices in the pic above to see if it would work for you. Switching is easily. Go through THIS LINK to sign up at Alectra Utilities (formerly Powerstream). If you do, PLEASE CHOOSE THAT YOU HEARD ABOUT THIS FROM A FRIEND, and put my name, STEVEN KASTNER on the blank. Do the same for friends and each friend you sign up will earn you a $25 credit on your electric bill until February 28th, 2018! Starting March 1, you'll see the new prices on your bill under your new plan, and immediately get the savings (or increases if you made a bad choice). You can get out of the plan by emailing or calling Alectra to go back to the standard rates at any time. The second one is to get a free smart thermostat to the first 100 people to jump into this plan but I suspect those are long gone--I missed them too. I'll change my post if I find out otherwise later today. After you register, you're offered yet another option: they are also offering customers a $50 rebate on their electric bill if they jump back into the plan whereby Alectra can control your thermostat for up to 4 hours during peak electric use times. You can also opt out of this with 10 business days notice by calling them, though I am not sure if they will take back the $50 credit if you do so. How much they control it I am not sure about. I'll be in touch with them and update the post accordingly. It's too bad I couldn't give my readers more notice. It turns out the the annual fee for the American Express Business Platinum card is going up to $499 from $399. Even if you apply for the card before March 23rd, you're out of luck. The March 23rd date only effects those who have the card already and are up for renewal before that date. The new version of the card comes with Priority Pass membership and lounge access for you and a guest (unlimited). It's a very good feature for those who will use it. For those who won't, hopefully, they can write off the annual fee as a business expense. You can call 1-888-721-1044 to opt-in to take advantage of this benefit enhancement. Before you had to pay $27USD per person per visit, which you still have to pay for any more people you take into the lounge than one extra person. You cannot use more than ONE gift card per rental! You may have assumed otherwise, but you would be wrong, having invested in perhaps hundreds or thousands of dollars worth of gift cards. Always call the company associated with the gift card to find out the fine print because even the fine print on the website DOES NOT TELL YOU THIS!! Funds do not expire. No fees apply to purchase/activation of Card. 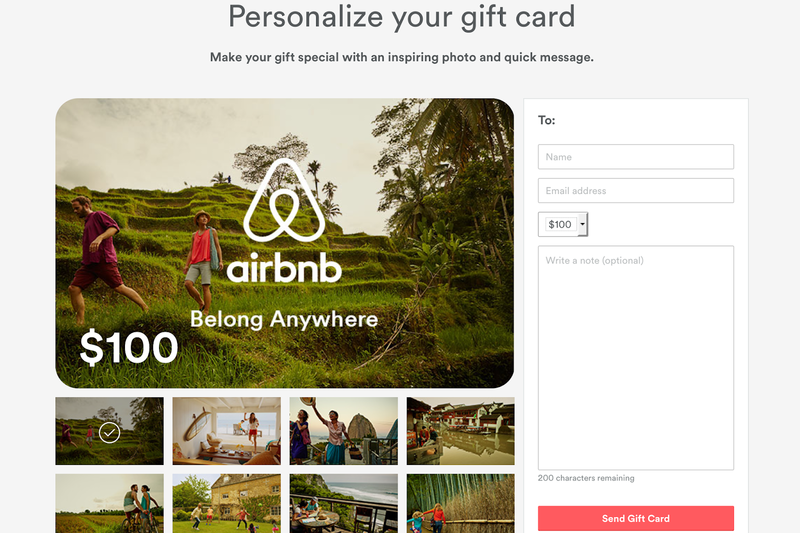 Redeemable for merchandise and services on www.airbnb.com only. Cards can’t be redeemed for cash except as required by law. Not valid as payment on credit account or for gratuities. Treat this Card as cash; lost, stolen, or damaged Cards may be replaced at the Issuer’s election, if at all, only with Card purchase receipt and Card number, and then only for the Card’s remaining value. Issued by Airbnb Payments, Inc. For Card and balance info, call 1-855-424-7262 or visit www.airbnb.com. If your purchase exceeds the unused balance of the Card, you must pay the excess at the time of purchase using another payment method. Also, be aware that US gift cards CANNOT be shipped out of the country. You are okay with e-gift cards though, but the fine print still applies. Book with AMEX AND Video Your Hotel Room Before You Leave!! So my family were off to a chain hotel for December Break as the point level for this one hotel was extemely reasonable to stay for December Break, and they were willing to upgrade us to a suite that we could all fit into, if not perfectly comfortably, at least fairly so. It was in Fort Lauderdale. The hotel does not matter to this story, but know that trying to get an in-advance upgrade for a family of 6 is not something that most Florida hotels will do at peak season so when they were willing to, I jumped at it. Having status with the chain ALWAYS helps. We stayed for 14 nights. The housekeeping service was AWFUL and after complaining more than once, a front desk staff member asked me when I would like them to come to do a full clean. I told them the next day at 12pm. As we came back from a day of fun at 5pm, they had JUST finished the room, but at least, they did clean it fairly well for the FIRST TIME. It was NOT the regular cleaner. That was the one that would not come back later when asked, would knock on the door and hand us towels, and then leave instead of clean the room. The regular cleaning staff person likely sprayed the curtain with a leftover bottle of mustard that we had left on the counter before we left in revenge for getting in trouble with the admin. 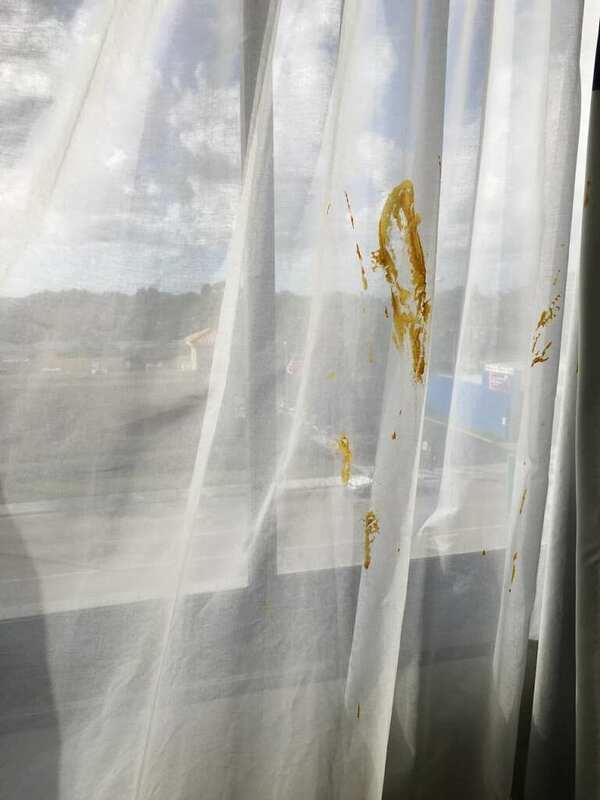 Hours after leaving, after arriving in Buffalo and loading the van, I get a call from the front desk manager that claimed an astounding $650USD in damages that occurred "all over the curtains, bedspread, and other things." AMEX was AMAZING. I don't think hotels like to deal with AMEX as I got the impression that AMEX's charge back documentation (since I went to AMEX about the unauthorized charge) that the hotel needs to provide them is so burdensome, that many hotels just can't be bothered to fill them out. Well, this hotel certainly did not or at least did not provide enough evidence to back their claim. 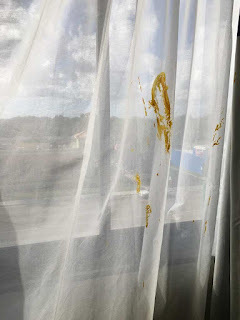 It goes without saying that we were totally innocent of what looked like mustard stains on the sheen of the curtain. There were no other pictures but those of the minimal stain to the curtain ever forwarded to me. We demanded more pics to show the evidence that was worth $650USD along with an itemized list of the charges to replace these things. Don't even go there--about why they didn't try to launder these minimal stains. The experience was a colossal waste of my time, with chains of emails that went unanswered by the management, the attachments to AMEX's website, the phone calls to the hotel chain's customer service, and I've learned from all of this to always take a brief video of my stay as we leave, with the TV on a news channel to back the time and date when the video was taken. All it takes is one disgruntled or racist worker to make a free stay cost you more than you bargained for. If you don't video before you leave, and as you leave, you will wish you had, and then you need to take your complaints as high in the organization of the chain as you can. I ended up dealing with a supervisor's supervisor to get someone who treated me with respect and believed me, just in case the hotel should find some time to try to restart the claim with AMEX at some point in the future. Also, record your conversations on your cell phone. That's how I had evidence of the outrageous claims by the front desk manager who was likely in on it, and the threats to blacklist me with the chain. So I recently decided to look into the option of a timeshare with Marriott. You hear about what a scam timeshares are, and apparently, for many years, they have been, but when going with a well known hotel chain that owns the timeshares, the worst thing that can happen is they lay a bit of pressure on you in the information session that they force you to attend to avoid paying full price for a great, and classy vacation that will fit your family comfortably and get you a cheap vacation at NO obligation to buy any timeshare! Depending on if you "qualify," you will get a superb rate to a top resort. You won't qualify for many of these deals unless you have a "partner" that you live with, make a decent household income (for Marriott, $100K) and don't have anyone coming that works for the hotel chain. Marriott told me they won't ask for proof of salary to avoid making the customer jump through hoops. Yes, Canadians totally qualify. 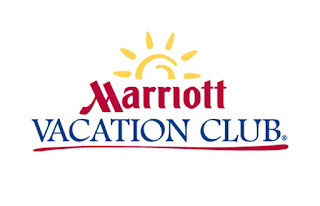 I went to the Marriott Vacation Club website and clicked on "request information." I received a call back during my work day, which I don't answer, and called back in my free time, asking for the person that left his information. They would not pass me onto that person as I suppose, it didn't matter. They claimed that because I was called back, I must have qualified for their best deal. I did explain to him that I don't believe so, unless they investigated my history with Marriott and saw my status with the hotel chain. I was offered their "best" deal--the not "best" deal apparently costs about $100USD more than what I was offered. Other hotel chains, including Choice Privileges, also offers timeshares and a presentation that you have to sit through with your spouse/partner. It's called They even offer babysitting while you attend the session. They are usually 90 minutes to 2 hours. To get in touch with them, you could call Choice Privileges to inquire about a hotel and they will possibly transfer you before you hang up to BlueGreen Vacations (their timeshare company), or you could email them HERE and await their reply and offer by phone (better than email). I don't believe they expected one to have a family income of $100K the same way Marriott did. Marriott's timeshare presentation is apparently 90 minutes. They offered me the $199 deposit deal, where I pay whatever the differential is depending on which of their properties I would like to stay at--and they gave me the maximum 15 month window to use up the deal, though the person I spoke to promised me they would extend it if I needed to cancel or something came up. I could book it within 15 months, and then book 9 months in advance, but the follow up caller told me no extensions and no 9 months in advance outside the 15 month window. I did record my conversation (as we all should) as evidence but I don't think I'll have a problem. The $199 is not refundable. When you arrive, you also get a $50 Marriott gift card that you could use at the property of save it for another Marriott stay. All properties offer an upgrade to a 2 bedroom suite if they aren't ALREADY two bedroom suites, as a few offer a 2 bedroom suites as the smallest room! Depending on the property, the deal as to how many nights it is, is based on that particular location, so for example, going to Hawaii, the deal is 6 nights, 7 days, while for West Palm Beach, it's 3 nights 4 days for $249 off season, $349 at high season, and an additional $50 over US holidays, whether they are during off of high season. You have the option of extending your stay up two additional nights at a subsidized price. With Marriott, you also have the option of using your points to extend your stay, but it will cost you A LOT of points as they are all category 8 resorts (one below Tier One, with each night costing 40K per night). They have properties around the world, but the deal only seems to include US properties and I believe, Aruba, but they are extending the number of options to many more over the next year period. The Hawaiian property is the most expensive, running around $699 but for 6 nights on the main island (BTW they 3 properties in Hawaii) but for what you're getting, it's TOTALLY worth it. Put it on your AMEX and then I know someone you can sell your points to at 1.3 cents per point, so 70K points, you'd get $910, which should cover the stay. No additional fees--no resort fees or taxes for this deal! NOT all of these locations are part of the deal YET, but they were mentioned to me that they will be in that next one year period. Click here to see the locations. I'll have to add to this post as I figure out where I'm going, and then after I get back! $99 USD Per Night During March Break At Kalahari Resorts! The Kalahari Resort in Sandusky, Ohio (home of the Roller Coaster Capital of the World--Cedar Point, that of course, is closed for the winter) boasts a resort that may be at par or better than Great Wolf Lodge. During March Break, a low season for the mid-west water park (and more), they have their "Splashtasic Getaway" rate of $99 (plus tax and resort fee, totalling $142.17USD per night) for up to 4 people in their basic suite, including water passes for all 4 people. Sandusky is about an hour from Cleveland that you could either get to through Detroit or the shorter way (6 minutes shorter with normal traffic). The drive is about 5 hours and 42 minutes according to Googlemaps, but considering how much you would spend to drive only to Niagara, it may be worth it to you! Click here to go to the Kalahari Resort booking page. 35% Off On Starwood Point Purchases--Save THOUSANDS!! So a relative of mine was looking to stay at the Residence Inn in West Palm Beach. A king suite with a full kitchen, their smallest room, was going for over $3600CDN for 10 nights. I suggested she get the AMEX SPG personal credit card. With that card, and through the referral, she'll get 20K SPG points and I'll get 5K SPG for the referral, which I'll gift to her. With the current sale that SPG is offering on purchasing points (35% off), she would need to buy the maximum number of points allowed to be purchase and deposit them in my account (30K SPG for $682.50USD (normally $1050USD)). 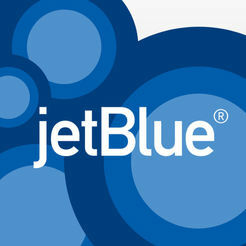 She'll put the purchase of points on her card, along with her flights. Altogether, that will meet her $1500 spending threshold to get the 20K SPG points. Totalling it, she'll have 20K for the welcome bonus, 5K that I'm gifting to her for the referral, 30K that she bought, and 1500 x 2 (double points for an SPG charge hopefully--normally only for an SPG hotel but this MAY count), giving her a total of 58K SPG points. That will transfer at no charge into 172K Marriott points. The 10 night stay (with the 5th and 10th night being free with Marriott/SPG) will cost her 200K Marriott points, so she'll still need to buy an additional 9500 SPG points to comfortably cover it for $216.13USD. That means, she'll pay $120 for the annual fee (which if she cancels it early to get a different AMEX card will be prorated back to her as a refund), almost $900USD for the points she needs to buy, and instead of spending $3600CDN, she'll stay on points and pay $1134CDN, so for around $1200 if you include the annual fee: SAVINGS: $2400CDN! Take advantage of the SPG 35% bonus offer before it ends at 11:59pm ET on March 16th, 2018! The Alaska Airlines MBNA Mastercard has a great welcome bonus--25K Alaskan Miles after spending $1K on the card within the first 90 days. That's enough for a cross country flight (like many other airlines). The card costs $75, but through Great Canadian Rebates, you can back $60, so you only pay $15 for the card for the first year! Please use the link in the above pic of the card to apply, in case you have not yet signed up for Great Canadian Rebates, it will give me a small referral bonus. Since they don't have an official affilation with an airline group such as One World or Star Alliance, they have individual deals with MANY airlines, including ones that will take you to Asia and the Middle East. Many will rake up their points and use them to fly business or first class somewhere as it's an excellent use of points to do so. A friend flew from on Hainan Airlines, China back to Toronto in business class for 50K Alaskan Miles and $50 in taxes. For meat and potatoes kind of people, you may just want to use them like this: Instead of using them for an affiliate airline, you may want to fly directly with them. Their closest city to Toronto that they depart from is Detroit (4 hour drive) but then you can fly to Seattle directly for 25K and only $6 each way in taxes! You can fly from Seattle to Victoria, Vancouver, Kelowna, L.A., San Fran--Alaska flies directly to all of these and more cities. Then, with the companion pass that comes with the card, you can fly once a year with a companion for $122USD, so a family of 4 can fly for $6 x 2 (each way) x 2 (passengers) for $24, plus $122 x 2 (companion passengers) totalling $268USD for a family of 4 to Seattle direct and a bit more in taxes to go to another destination in North America on the west coast! For example, flying to Kelowna was $45 in taxes instead of $6, but the same number of points, and the companion fare won't go up. You can ONLY use the companion fare to fly Alaskan. You can use their interactive map by clicking HERE to see where you can go with the points. Keep in mind, it's a Mastercard, which in Canada, is accepted EVERYWHERE--No Frills, Costco, and everywhere else that all the other cards are accepted. Check out what hotels are changing—and maximize your points. 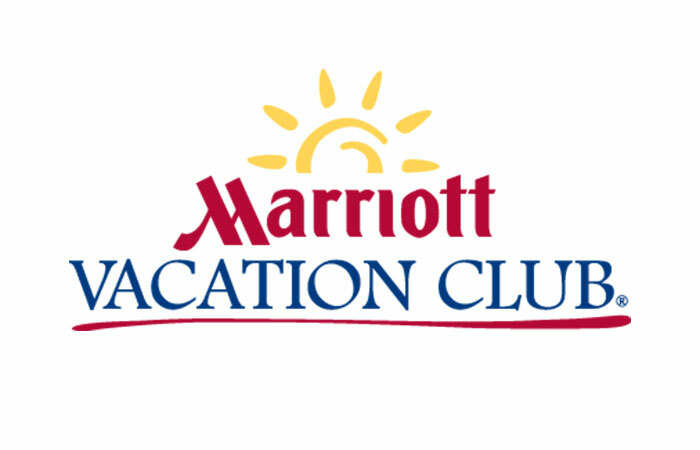 On March 6, 2018, the Marriott Rewards® annual category changes will take effect. This year, 74% will stay the same, 21% will move up and 5% will move down. You can take a moment to review the list now and make the most of your points. 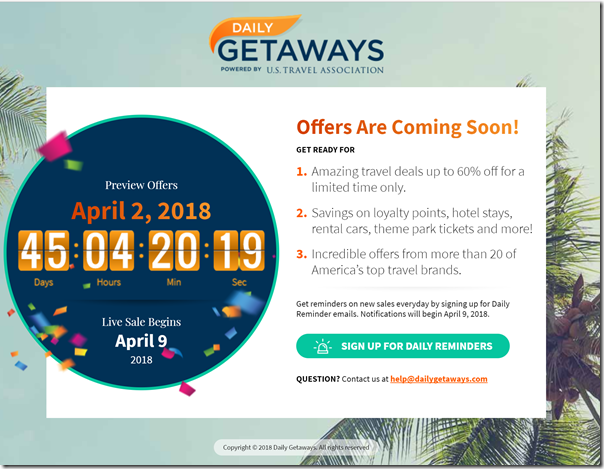 Book now to take advantage of the current redemption rate in destinations like Montreal, Phuket, Charlestonnd more, before the 2018 category changes take effect. For access to the ENTIRE list of hotels that are going up and down, click HERE. Starwood Category Changes Means Book NOW-Niagara Falls Included! Every year hotel chains change the category number of some of their hotels--some moving up and some down. Starwood (SPG) has announced what hotels will be going up and down in category numbers, and by how much. 47.5% of SPG changes are for the better (going down) while 53% are going up. Most hotels are staying the same. Overall, 276 hotels are changing categories. Another important change is that while you can book an SPG property 550 days in advance, that's changing too--to 350. That means if you want to book for next Passover, you will want to do so sooner rather than later--as of February 11th, it will be down to 350 days in advance. This means you can book as far as August 11, 2019 (Tisha B'Av) as of this posting. You may wish to book WAAAY in advance as you can always cancel for free later. Click HERE for a list of ALL the hotels going up and down in categories. The biggest and most relevant to my readers will be the Four Points by Sheraton Niagara Falls Canada. The hotel has been a category 2 (3K points for a weekend, 4K for a weekday). It's moving up to a category 4 (10K points EVERY night of the week). Yikes! While it is NOT connected to the Fallsview water park (you'll have to buy passes separately for it), either through Groupon (though their version does not include long weekends such as Family Day), some other discount website, or through the Fallsview Water Park website. Using points to stay there makes the most sense, compared to what their rates can go up to during high season--points do NOT go up which makes it a great use of SPG points. For my Jewish readers: It has Shabbos services right by the Chabad Centre--and Chabad set up an eiruv between the two buildings. You can ask for a "cultural Shabbat" key, which will mean you will be on one of the lower floors over Shabbos that uses a regular key. Chabad also caters the hotel. This is the ideal hotel to stay in as an observant Jew. Go to the Chabad Niagara website for more info on the hotel and Chabad's connection to it. Register by clicking HERE. Note change in date and time. It turned out there was a big event that held others back from coming as it conflicted with the original date of February 24th--now March 3rd at 8:30pm. After a small but successful first seminar, where I was able to give my Powerpoint presentation and discussion that helped those that came score affordable vacations, I've decided the time is right for my next seminar. Parking is allowed in the driveway, the south side of the Arnold and the east side of Campbell (but see the signs to be sure). HOT!! ACT NOW! FlySwoop--Westjet's Low Fare Airline Option Online NOW! Westjet has introduced its new low fare alternative--only one personal item for free per passenger but with prices this cheap, you will want to jump! You'll have to fly out of Hamilton, as that is their hub in Ontario. They fly to Halifax, Winnipeg, Edmonton, and Abbotsford (a stretch to call it this but a "suburb" of Vancouver (45 minutes away)). Flights to Winnipeg for $45 one way. Flights from Winnipeg back from $27! Flights to Abbotsford from $158 one way, but going fast. Back to Hamilton from $131.